This was the movie that I was thinking of watching when it premiered in Indonesia last Friday, but I decided to see Annabelle: Creation instead. However yesterday as I was not having that many things to do related to work, so I was able to go home quite soon and it so happened that my wife got nothing on her schedule at night. We bought the tickets for 7.15 PM show at Setiabudi which was very close to our home. Now what was actually the story about? Let us find out, shall we? A junkie hitman named Lucas (Sam Worthington - Avatar, Terminator Salvation, Hacksaw Ridge etc) was given the task of murdering a young girl named Ella Hatto (Odeya Rush - The Giver, Goosebumps etc). However, Lucas was not able to bring himself to kill her, since Ella reminded him of his own daughter about the same age. Due to this decision, Lucas was caught in the crossfire while protecting Ella from other assassins hired to kill her. Meanwhile Ella also very scared of Lucas and worried for her life. The person who assigned Lucas was Richard Addison (Allen Leech - Tom Branson in Downton Abbey TV series) a rich man who made his wealth from dirty businesses. It would be revealed later the reason for his assignment to Lucas. Richard got some assistance from Banks (Amy Landecker - Transparent TV series) who feed him with various information. During the runaway from the assassins trying to kill both of them, Lucas had to request for the help from his old friend Dani (Verónica Echegui). She was aware of Lucas' addiction and likely the source of his narcotics in the past which also complicate things as Lucas had to be on alert at all times, especially with the best hitman hired by Addison named Metzger (Martin Compston). The rest of the story would be revolving on the running and escaping attempt by Lucas and Ella throughout Europe. As a movie that was not categorized as summer blockbuster Hollywood movie, we got we came for. The movie did not have large special effects, but the action sequence including the car chase and the hand to hand combat were actually pretty exciting. I loved and enjoyed how the sound effects were put to good use. The guns blazing sound and those car chases noise (including some sudden shocking effects like car being hit and so on) were the best parts of the movie. The story seemed to be pretty standard for this kind of movie. It had the element of anti-hero in it, where our protagonist was actually an assassin/hit-man and also had a "father/daughter" relationship, despite they were not really father and daughter. I understand that this movie was adapted from a novel titled For the Dogs written by Kevin Wignall which was considered very good by a lot of critics. This was usually the case for a novel to be adapted into a movie. However, it would seem that the movie adaptation was not garnering the same views by lots of critics. As an action thriller movie, it was actually good in terms of the actions. However, for me personally, I think the actions could have been given a bit more. There were times when it was in the more dramatic moments, the pace would become slow (which was actually in contradiction to the novel which according to critic was a fast-paced page-turner). Nevertheless, due to the good actions sequence, I was pretty pleased with the movie. Just a reminder though that the killings were pretty brutal, so best not to be seen by children. I could not say that this was a bad movie, but neither could I say that this is a very good movie. Overall it was pretty standard. On the characterization, I think Odeya Rush was pretty good playing damsel in distress (My wife and I kept on thinking that she looked like a younger Mila Kunis). 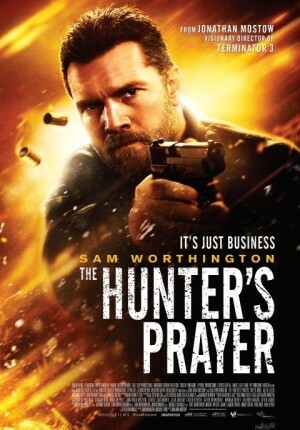 But this time Sam Worthington (apart from the actions part) was not too memorable. Even worse was Allen Leech who seemed out of place as the main villain. I think Jonathan Mostow as the director was not able to bring out the best from the actors and even got one rather illogical scene before the climax. It was a pity though since he actually got quite a good portfolio of commercially successful movies such as U-571, Terminator 3: Rise of the Machines or The Surrogates. So if you are a fan of Sam Worthington and wanted to see him as a lead character in an action thriller movie, then this could make you happy. Now if you want to see a not-so-fast paced action movie and just enough of action sequences through out the movie, with "father/daughter" relationship, then this probably would be a good choice. But if you are looking for a full blown action movie, or even a very meaningful action thriller movie, then it would be better if you look elsewhere.